Once you have found all of the general information you need for your paper and have started to develop your thesis, you will need to find some periodical articles that will give you a more narrow examination of your topic. Because this is a research paper, you should focus on finding articles from academic journals. These articles are usually longer than a magazine article, very scholarly, and include footnotes. They are written by experts in the field or university professors. 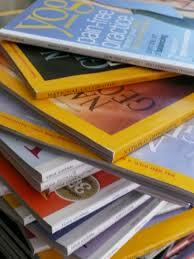 It is unlikely that you will find a general academic journal article. Most of them will have an extremely narrow focus on one aspect of your topic, but that is what makes them such a valuable resource to use for your paper. To access these databases from home, use the passwords listed on this private Google Sites page. Click here to see a list of all our available databases. You may filter the list by topic.